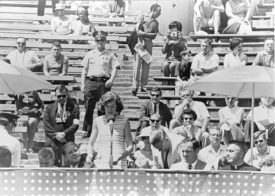 Many people had a hand in what is one of the momentous events in Special Olympics history, the very first games at Soldier Field on July 20, 1968. Eunice Kennedy Shriver, Illinois Supreme Court Justice Anne Burke, Mayor Richard J Daley, Chicago Park District Superintendent Bill McFetridge, to name a few. Of course, the 1,000 athletes from 26 of the United States and Canada as well as their coaches and families. There is also one person that should be just as well-known in regards to his work with the intellectually disabled. He started his work more than a decade before the first games and he ultimately, behind the scenes, brings all of this together……..Dr. William Freeberg. A person who had big dreams for people with intellectual disabilities he was a native son of Illinois and helped to plant all the right seeds that blossomed into the Special Olympics movement. William H. Freeberg, affectionately known as Freebie, of Southern Illinois University was a man who got things done – especially for people with intellectual disabilities (who were called “the mentally retarded” in those days) – at a time when few people were paying attention to them. Raised in an orphanage, Freebie was an advocate for those who were left behind by society. His lifelong advocacy would benefit people with disabilities in a way that would bring about attitudinal changes over the next sixty years and along with his students help develop the special recreation movement in Illinois. 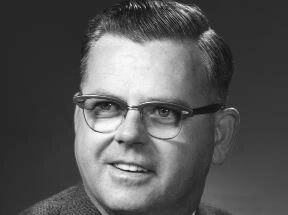 In 1950, Dr. Freeberg earned his Doctorate in Recreation from Indiana University. This was the first such degree in the nation. In that same year, he headed the SIU Recreation Department and persuaded University President, Delyte Morris, to acquire a nearby piece of land in the Shawnee National Forest, which became the Camp at Little Grassy Lake (now known as Camp Little Giant at Touch of Nature Environmental Center). He established the first residential summer camping program for people with physical and intellectual disabilities affiliated with a university in 1951. This camp was one of the first accessible camps in the United States. He wanted to demonstrate how sports and recreation could give people with disabilities confidence and improve their quality of life. In 1952, Freebie established the first college-level curriculum in the nation that centered on recreation and outdoor education. Ultimately, students from more than twenty-five different disciplines would use Little Grassy Camp for practical hands-on learning experiences. In 1954, he along with others established an association for the intellectually disabled. The first thing that they found missing in Illinois for the handicapped was any organized outdoor or indoor recreation programs or facilities for them. Dr. Freeberg insisted that, in the first year, a residential summer camp for the intellectually disabled be resurrected at Little Grassy. In addition, he saw to it that the residential camp began in an abandoned farmhouse on that acreage surrounded with pup tents and counselor-students from Professor Freeberg’s classes. Eunice Kennedy Shriver, sister of President John F. Kennedy, also had a summer camp for people with intellectual disabilities – in her backyard. She traveled to Carbondale to see Dr. Freeberg’s camp in 1961 and was very impressed. She would later ask him to join a select group to help develop a program of recreation for people with intellectual disabilities. On October 21, 1964, a telegram sent to President Morris from Mrs. Shriver’s husband stated; I respectfully request SIU lend services of Dr. William Freeberg full-time to Kennedy Foundation for three months for purpose of coordinating Foundation’s nationwide recreation program for the intellectually disabled. Foundation will reimburse Dr. Freeberg’s salary and expenses. Recreation program involves expanding university community and institutional recreation services for intellectually disabled and training of professionals. Dr. Freeberg only man in country with sufficient grasp and knowledge of problem to carry out this most important and vital program. -Sargent Shriver, Executive Director, Kennedy Foundation. Dr. Freeberg started conducting workshops for recreation professionals from around the country, teaching them techniques in working with people with disabilities. The Chicago Park District sent 10 representatives in 1965, including a young woman named Anne McGlone (Burke). When she returned to her office at the Chicago Park District, she developed the idea for a citywide track meet for the disabled. Using Dr. Freeberg’s continuous encouragement and guidance, this revolutionary event began to take form. As the need for funding became apparent, Dr. Freeberg persuaded the Kennedy Foundation to sponsor the program. He also obtained permission from the International Olympic Committee to use the name for this event. On July 20, 1968, the first Special Olympics were held at Chicago’s Soldier Field. 1,000 athletes participated from 26 states and Canada. 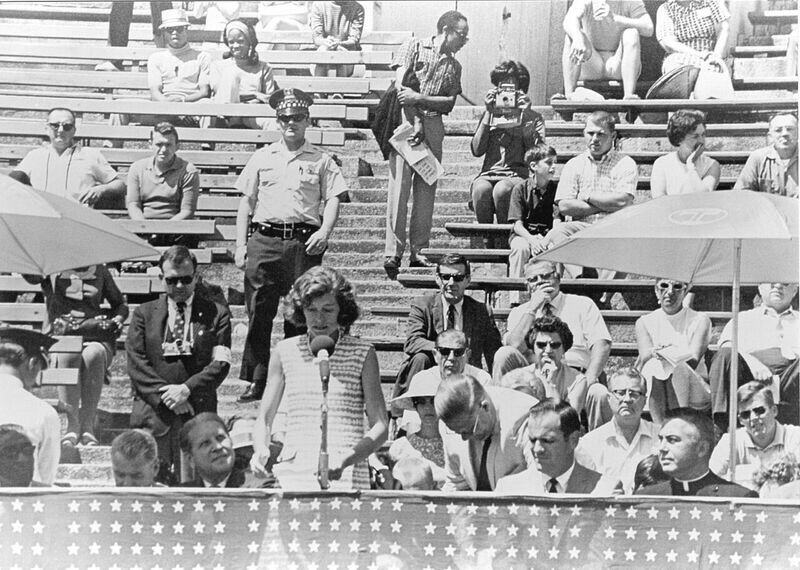 On the reviewing stand were Mayor Daley, Eunice Kennedy Shriver, Blackhawk Stan Makita, Olympic Medalist Rafer Johnson, Astronaut James Lovell, Illinois Governor Sam Shapiro and Dr. William Freeberg. Dr. Freeberg died in 1987. Touch of Nature Environmental Center now operates year-round in a number of capacities serving as a conference center, research site and provider of therapeutic recreation programs and services to the University and the larger community. Each year, the inspiration of Dr. Freeberg is especially felt at the annual Special Olympics Illinois Southern/Area 15 Spring Games held at Southern Illinois University.